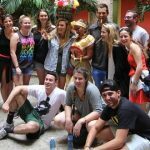 UM Hillel provides an enriching experience to students through its Alternative Spring Break trip to Cuba. Down a bumpy dirt road, next to abandoned railroad tracks with overgrown grass and a handful of curious locals, the Cementerio Union Hebrea Chevet-Ahim, one of only five Jewish cemeteries in Cuba, awaits a rare visit. 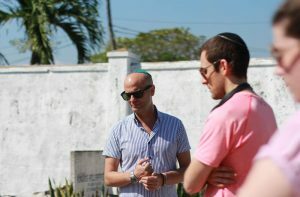 More than a dozen University of Miami Hillel students arrive to pay their respects at the Sephardic cemetery, established in 1942 for Jews from Spain and Portugal. 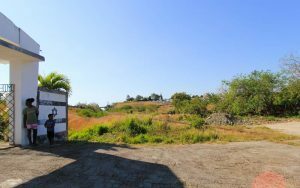 The final holy resting place is hidden just down the road from the Ashkenazi cemetery, the oldest Jewish cemetery in Cuba, built for Jews from Eastern Europe and Russia in 1906. The tucked-away location is common, says UM student Josh Stoller on this clear and hot Sunday morning. 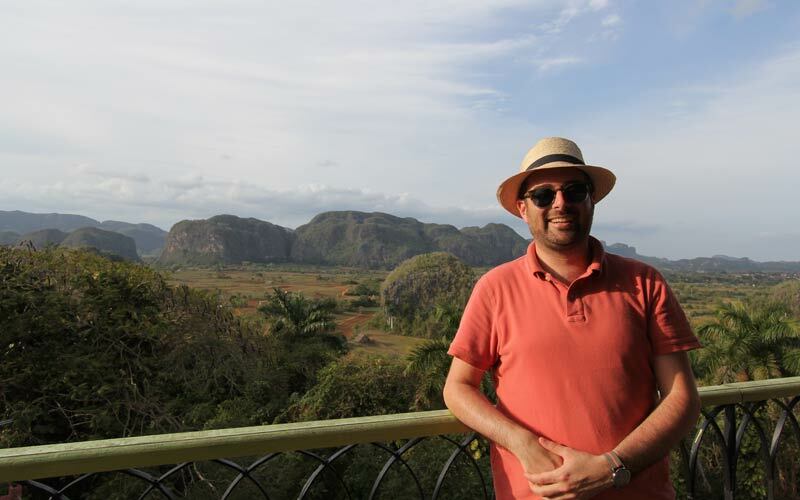 This is his first full day in Cuba for UM Hillel’s Alternative Spring Break trip to the communist island that was so close but off limits to most Americans for decades. 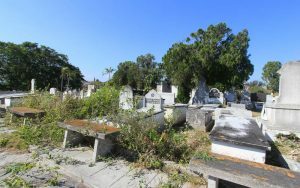 With its crumbling, unkempt grounds, tombstones of broken marble and tile, and cracked cement, the cemetery in the suburbs of Havana has an unsettling likeness to the Jewish cemeteries and synagogues across the U.S. that have been recent targets of vandalism. But the shabbiness of this Jewish cemetery has nothing to do with anti-Semitism. 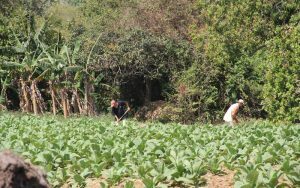 There just aren’t enough Jews left in Cuba to repair and maintain the grounds for the deceased, or the Jewish community centers and places of worship for the living. From a peak of nearly 25,000 in the 1920s, the Cuban-Jewish population fell sharply after Fidel Castro’s 1959 revolution turned Cuba into a communist and atheist state. Many of Cuba’s Jews joined the mass exodus of Cubans following the revolution, and today, the Jewish population on the island stands at just about 1,200. Though the Cuban government owns the cemetery land, the Patronato Casa de la Comunidad Hebrea de Cuba, or the Patronato, as the Cuban Jewish Community is called, must pay to maintain the grounds and relies on donations to do so. Without a single rabbi on the island, the Patronato even has to fly in a rabbi from Chile for Passover and the occasional wedding. 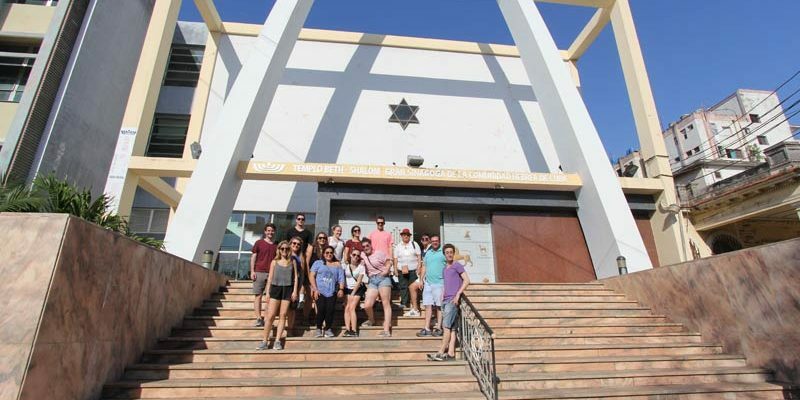 “In Cuba, our students experienced a vibrant Jewish and secular culture while being keenly aware of the political implications that communism has had on the Cuban people,” says UM Hillel’s Campus Rabbi and Jewish Chaplain Lyle Rothman, who traveled with the group during their seven-day trip. 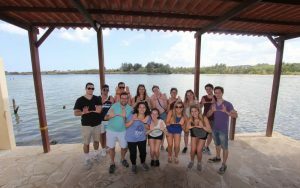 The UM Hillel students, ranging in age from 18 to 23 and pursuing majors from music therapy to accounting and pre-med to pre-law, spent the break visiting and paying their respects at Jewish cemeteries, cooking meals for Jewish seniors, and enjoying Rikudim dances with teens and young adults from the temple. They also visited historical and cultural sites, including the Plaza de la Revolución, with its landmark 100-ton steel outlines of revolutionary figures Che Guevara and Camilo Cienfuegos, the artist communities of Muraleando and Callejon de Hamel, the national Havana Club rum factory and the town of Viñales in the western province of Pinar del Rio, with its breathtakingly distinct rounded mountains. 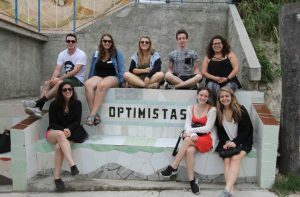 University of Miami Hillel students visited Cuba in March 2017 for an Alternative Spring Break. 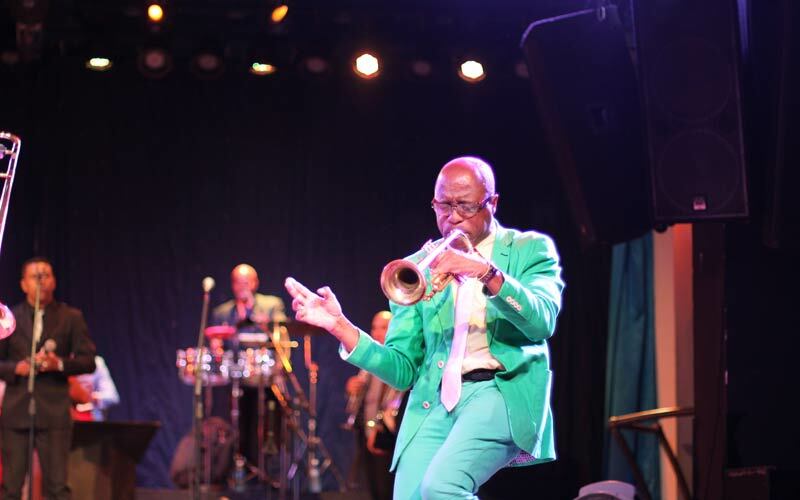 They engaged with the Cuban Jewish Community and with the larger Cuban community through arts and culture, such as attending a show at Havana Café at the Meliá international hotel. 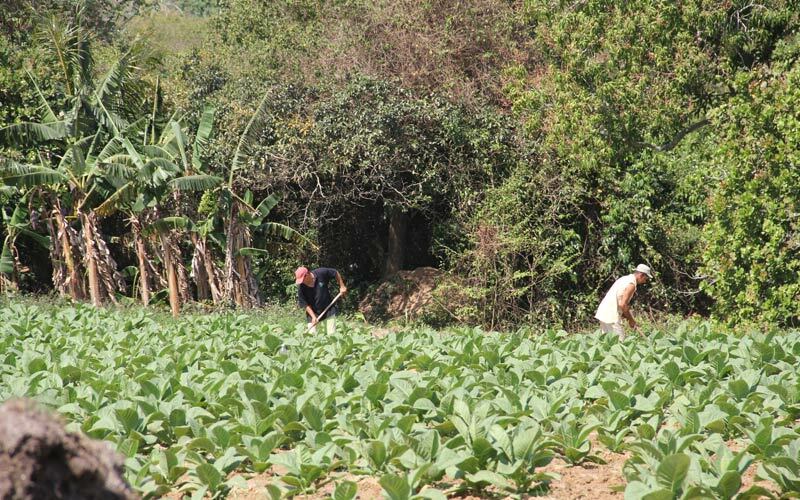 There, some students bought two fresh loaves of rationed bread for 15 cents from a state-run bakery, bought cigars from a tobacco farm and lunched in a casa particular, a private homestay, with a view of the mountains. With internet still largely inaccessible in Cuba, where connecting to Wi-Fi means buying a scratch-off card with a code to connect to a spotty—at best—internet connection, the students were forced into a digital detox. But, as William Miller, the former vice president of the Patronato notes, the students' first priority was to support the Jewish community and build the bonds that tie Jews together the world over. Those bonds are expressed in Cuba at lively community gatherings, for customs such as the weekly Havdalah ceremony, where a candle-lit prayer is chanted, arm-in-arm, to celebrate the end of the Sabbath and the separation of work and rest, and the annual Purim festival, where the story of Queen Esther and Mordecai is re-enacted, all with colorful costumes, candies and dancing. UM Hillel began offering Alternative Spring Break trips in 2010, “as a way for students to engage and promote a core tenet of Judaism—to repair the world and leave it better than how it was found,” says Igor Khokhlov, executive director of UM Hillel. 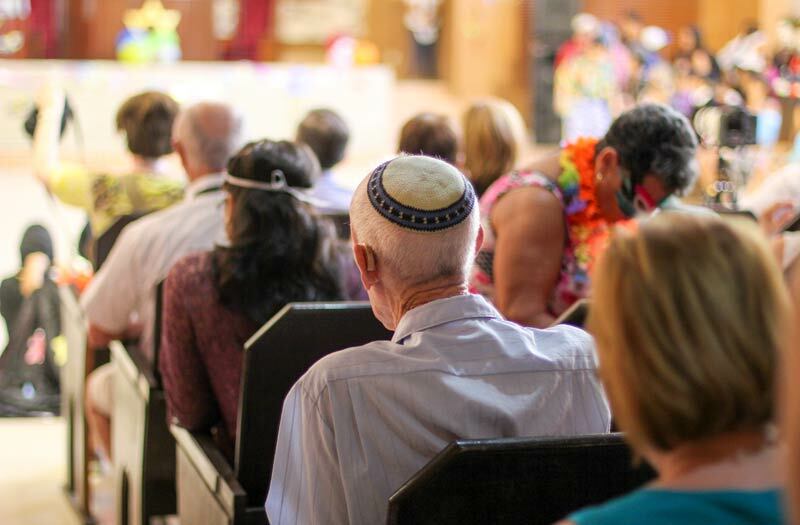 The trips, the first to Argentina and the next to Brazil, Khokhlov says, also show Jewish-American students how Jewish communities in other countries express their Judaism in similar and different ways. Until about 30 years ago, Cuba's Communist government heavily restricted the practice of religion for almost all faiths—except Judaism. “As a result, there have been less hurdles to jump for Jewish groups from the U.S. trying to visit Cuba,” says Miller, the grandson of the Patronato’s founder, noting that travel restrictions for American groups have loosened considerably over the last decade. “It’s very important for us to communicate that, despite interaction being restricted for so long, this is happening, and we want everyone to know that they are welcome here,” Miller says. After visiting decrepit Jewish cemeteries (described as a “heavy morning” by some students), and a festive afternoon at the Beth Shalom synagogue in Havana celebrating Purim—a celebration of resilience and fortitude—the students try to process their cacophony of feelings and impressions. 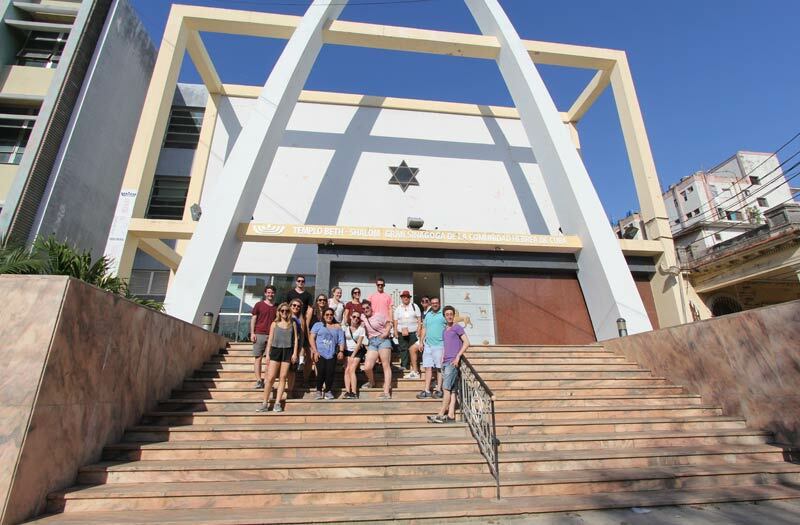 One of the country’s six and Havana’s three synagogues, Beth Shalom is more than a place of worship for Cuban Jews. It is a vibrant cultural and community center where multi-generational families gather to celebrate holidays and traditions big and small. It boasts a library of more than 15,000 books in 21 languages and offers Sunday school classes and a community pharmacy for congregants. 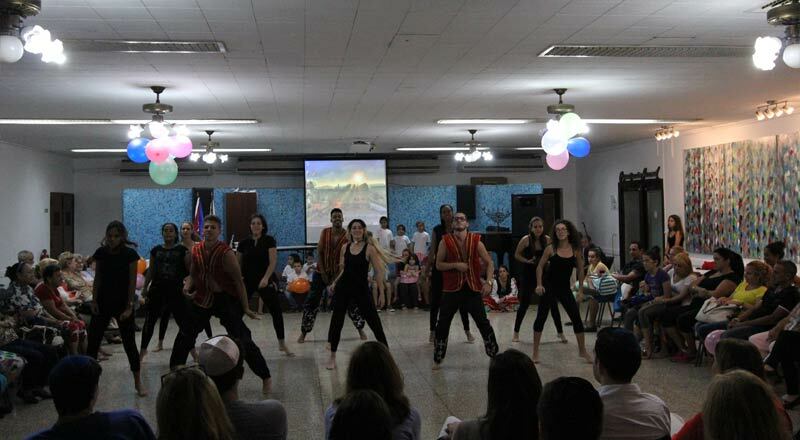 It even doubles as a youth center where teenagers can learn about sexual and reproductive health and practice choreographed dances to perform during the synagogue’s next community gathering. 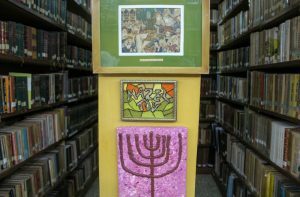 The synagogue’s moderate resources, much of them donated by Jewish organizations in the U.S. and Canada, are an exception in Cuba. Escorted by a government-mandated sociopolitical tour guide through diesel-fumed air and streets lined with dawdling, bored residents, shantytowns of corrugated tin and aluminum, and Soviet-era cement block apartments, the students were struck by the rampant poverty. 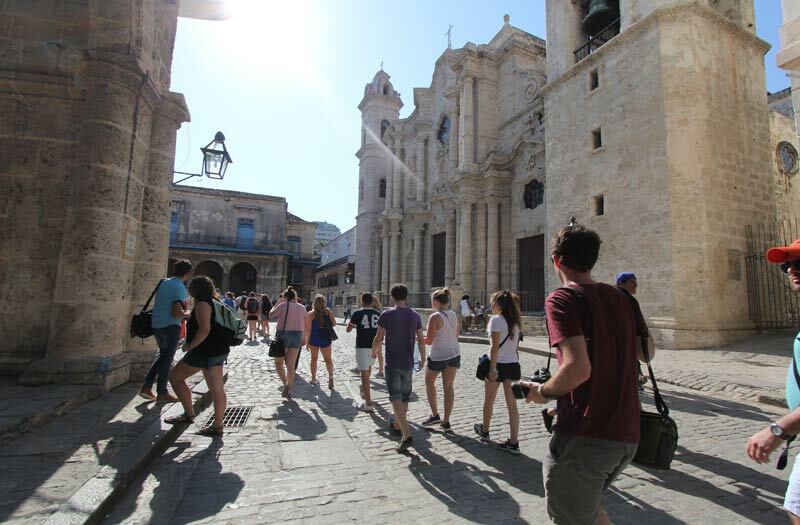 But, like many visitors, the students quickly realize how complex and mesmerizing Cuba is. The country’s austerity and deterioration still imparts a beautiful resilience amid its inherent sadness. 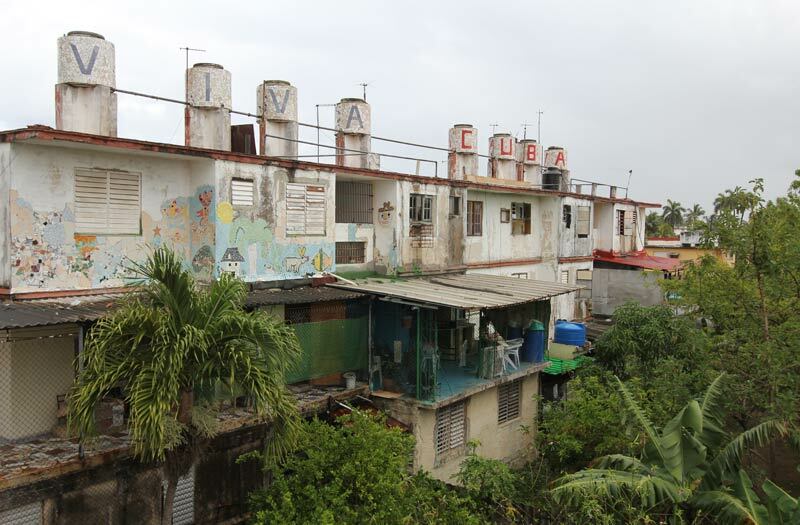 Impressed with the Cuban people’s resourcefulness, some students agree the island’s motto seems to be “things are old, but still usable.” They also noticed that, despite the lack of basic necessities like medicines, medical equipment, and potable and running water—some water pipes have been in place since Spanish colonial times—nothing dampens the Cuban spirit. 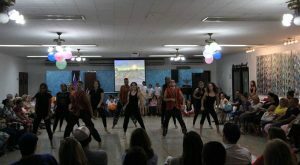 Arts, culture and community abound on what seems like every other street corner, and the UM Hillel students never passed up an opportunity to join in. “We danced with the Jewish community, served meals to those most vulnerable and witnessed the healing power of art,” says Rabbi Rothman. Some students knew each other before the trip, either from Hillel services or events, or from Birthright Israel, a 10-day trip Israel sponsors and UM Hillel helps organize for Jewish young adults. For others, this was their first experience with UM Hillel. “I was really nervous about coming on this trip because I didn’t know anyone, but I’m so glad I did,” says Rachel Schaeffer, a senior in sociology and pre-law student. Established in 1941 and priding itself on being an “open and pluralistic community for all,” UM Hillel and its students proudly emphasize that “you don’t have to be Jewish to come to Hillel.” In fact, one student notes, she became involved with the campus organization after her non-Jewish friends raved about a Hillel social gathering in Miami’s Wynwood neighborhood to conclude Shabbat. 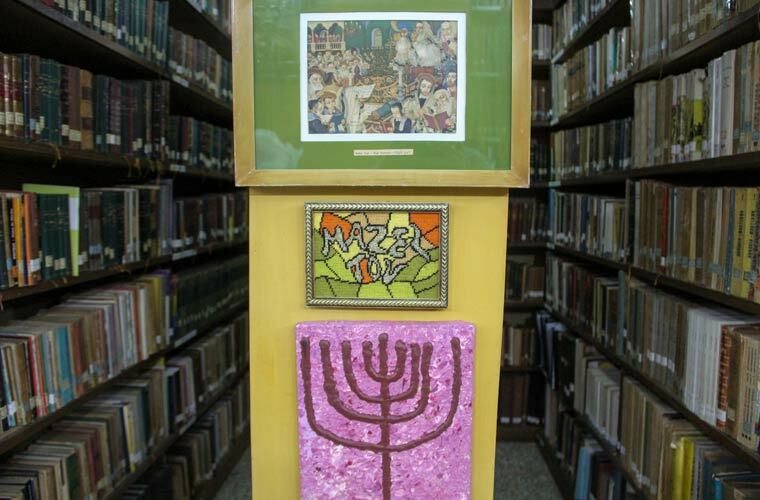 UM Hillel also collaborates with other Jewish organizations and programs on campus, including the Sue and Leonard Miller Center for Contemporary Judaic Studies and the George Feldenkreis Program in Judaic Studies at the UM College of Arts and Sciences. All are eager to explore and further connect to Jewish communities in the Caribbean. And as UM Hillel now knows, there is no place quite like Cuba. 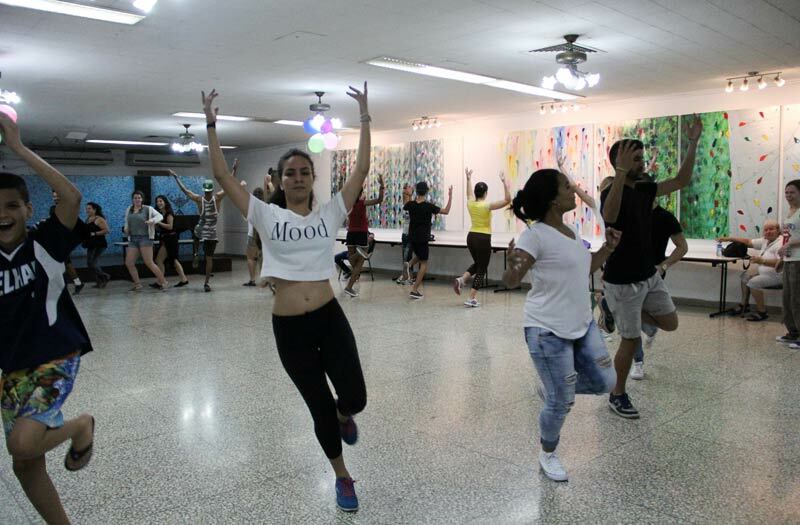 Despite their digital detox, the students were compelled to coin their own hashtag to convey their unique experience traveling in a country of fierce national pride, strong survivalist spirit and unrelenting rhythmic energy: #YOCO, for You Only Cuba Once.